Makoto Iwamatsu (who goes by the name of Mako only), was born on 10 December 1933 in Kobe, Japan. He grew up there with his grandparents while his mother and father studied art in the United States. When the U.S. went to war with Japan, his parents went to work for the US Office of War Information and were granted residency at the end of WWII. At the age of 15, Mako joined his folks in New York and became a naturalized citizen 8 years later in 1956. He was drafted into the army during the Korean War, thus knowing the horrors of war twice already in his young life. In college he studied architecture, but his aspirations changed when he discovered an appreciation for performing in USO & military shows during his army service. He changed career paths and joined the Pasadena Playhouse, enjoying moderate success in many stage & television productions. He made his screen debut in "The Ugly Dachshund", but it was acting along-side Steve McQueen in his next film that allowed him to make his mark on cinematic-history: "The Sand Pebbles". It was his portrayal of the tragic engine-room coolie, Po-han, that earned him award nominations for both the Oscar and the Golden Globe. 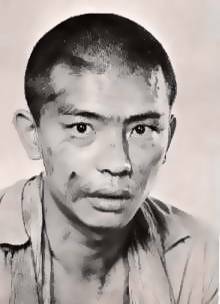 In 1965, Mako co-founded & became the artistic director of the East West Players, the critically-acclaimed Asian-American Theater in Los Angeles, CA. Mako and the East West Players have been honored with the Margaret Harford Award, the Los Angeles Drama Critics Circle's most prestigious award. His Broadway debut came in 1976, along with a Tony nomination starring in Steven Sondheim's "Pacific Overtures". Even though he did not win, he says "It's one of the highlights I cherish most. It altered my view of musicals and expanded my idea of theater." Charismatic, expressive, and an endearing quality....rarely do scripts come his way that can match his tremendous talent, yet he's been able to maintain work for the past 40 years, and shines in every role that he embraces. First Movie Role: "The Ugly Dachshund"